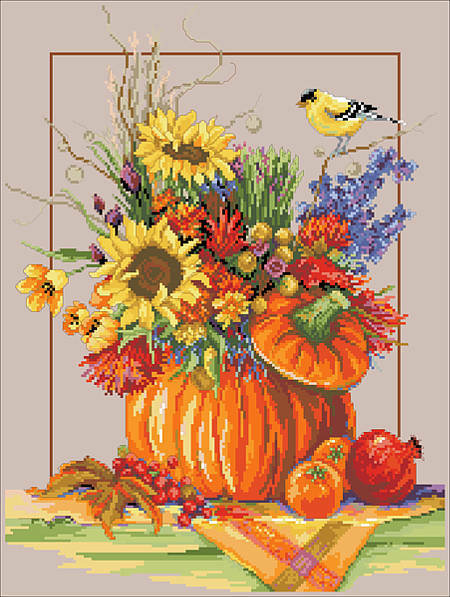 Vibrant and festive, this Counted Cross Stitch piece will complement any decor during the fall season. Beautiful sunflowers and colorful autumn blooms arranged in a hollowed pumpkin, surrounded by berries and other fall treats. Contents: Stitch Count: 168w X 224h. Finished size on 14-ct: 12" X 16"